I am by no means a drugstore queen. As you already know, my spending habits when it comes to beauty really varies. I'm not 100% in love with any single brand and as a beauty YouTuber and Blogger I tend to try new things quite often. 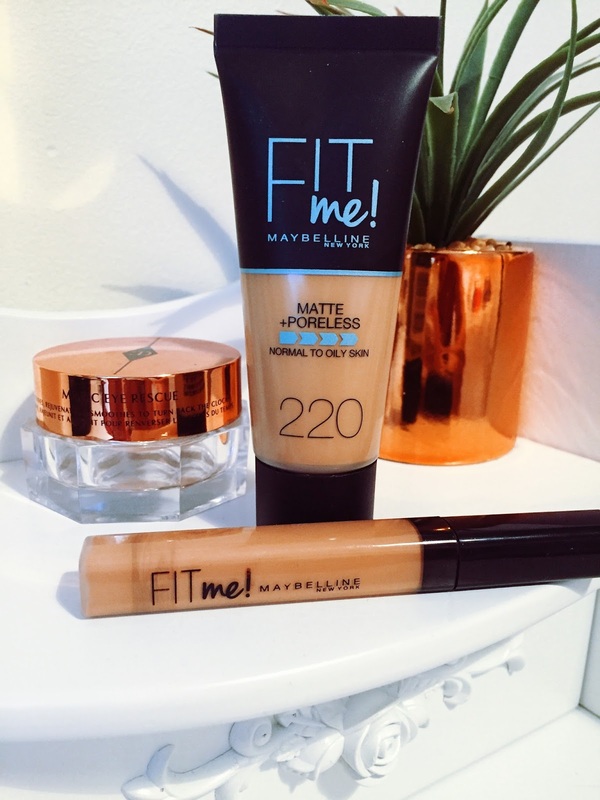 Today's beauty delight is the Maybelline New York Fit Me Foundation. Have you tried it? I recently purchased this foundation which I have been testing out for a few weeks now. I find that with a foundation, you can't just use it once and have a good opinion of it. You need a few weeks to trial it because if you're anything like me, my skin changes week to week. I like a more natural look. So any foundation that helps me to achieve this is perfect in my opinion. I was slightly apprehensive about this foundation as it's a Matte foundation which can cause some slight issues with my combination skin as some areas of my face get dry quite quickly. However, when I first used this I immediately loved the look. It feels great on and you don't need a lot of product for it to give you that flawless finish. It didn't effect my skin in any way - no spots and no dryness. I found that 220 is the perfect shade for me. I purchased this online so I wasn't 100% sure I had selected the right shade. It's a guessing game when trying to select the right tone. Price was great. I got this in the sale so it only cost me £5.59. I used this foundation every day for the last four weeks. I combined it with a variety of different products - including the fit me concealer which is one of my favourites. I found that due to the matte formula, it helped to balance my skin. I get quite oily in my T-Zone so found that this formula really works well on me. It's easy to apply - I prefer to use a brush rather than a beauty blender as it's quite a thick foundation and the beauty blender doesn't work so well when trying to get an even look. You don't need much to get a great finish. I think this may be different depending on your skin tone and whether you suffer from Acne. This lasted over 10 hours on my skin and still looked flawless until I removed it. I wouldn't recommend setting this with a spray. I would suggest using a powder. Overall, I'm extremely pleased with this product. It's one of the best high-street foundations I've ever used. I wouldn't recommend this product to anyone with dry skin. I don't think it would work well and could potentially break you out.